Dunn Herefords, operated by Bill, Bobbi, Walker and Reagan Dunn, is a cow-calf operation with both purebred Herefords and commercial black-baldy cattle. Bill and Bobbi Dunn operate Dunn Herefords in Cochranton, Crawford County, PA. The Dunn Farm was first established in the rolling hills of north-western Pennsylvania in the 1880’s. The first Hereford cattle arrived at the farm in 1943 and since then, generations have farmed the ground together. In 2018, Bill and Bobbi along with their children Walker and Reagan operate the cow-calf operation. Farming is a family affair at Dunn Herefords. For the farm, their primary goal is to raise quality feeder cattle to go to market, raising high quality seedstock for sale to other producers and to allow their children the opportunity to exhibit the cattle they are producing. These goals come to life with hard work, daily management and quality care. 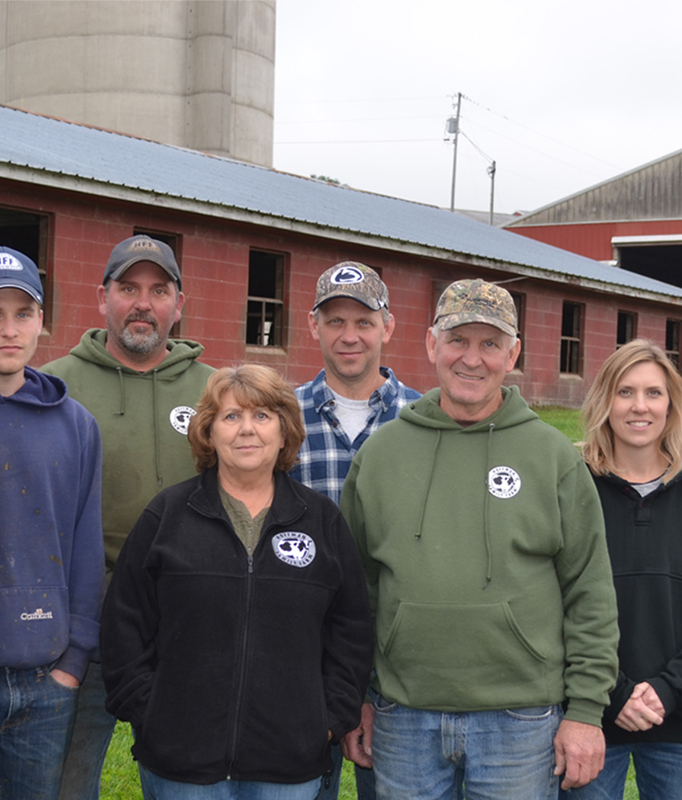 The Dunn family takes Beef Quality Assurance (BQA) seriously and work diligently to provide their animals with proper care so that they remain healthy and productive. Bobbi says We treat our cows like good employees, with respect and dignity. We provide for them as well as we can so that they can do their job.